If you have discovered how wonderful a homemade smoothie can be for an on-the-go breakfast, then you might be looking to experiment beyond orange juice, strawberries, and a banana. The good news is that there are literally hundreds of possible variations on a smoothie. There are many different healthy smoothie add-ins. Three different types are liquids, greens, and fats. Liquids are used to make a smoothie thin enough to drink. Many people use orange juice or other juices to thin their smoothies, but these can be high in sugar. For a lower sugar alternative try milk, almost milk, or even water. Plain or coconut water can thin out a smoothie without adding extra calories and sugar. Alternatively, you can thin your smoothies with yogurt. This will add protein and healthy bacteria without the sugar of juice. Many people who drink fruit smoothies have never thought to add in a handful of greens. Doing this can transform your breakfast smoothie into a nutritional powerhouse. 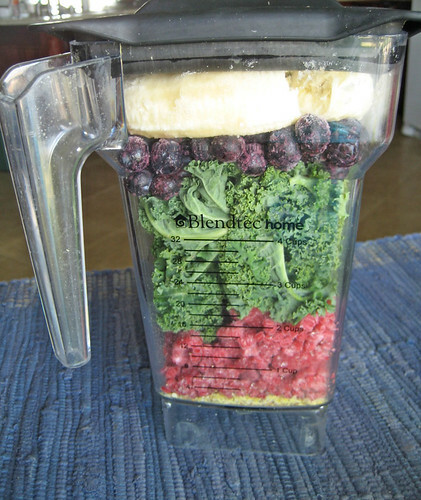 You can blend leafy greens and other vegetables into your smoothie and increase your vegetable intake significantly. When you start blending greens into your smoothies, try just a handful of baby spinach. Once you are used to the taste and texture, start experimenting. Carrots, celery, parsley, and cucumbers all blend well into smoothies and will dramatically increase the positive nutritional impact of your breakfast. In the low-fat diet craze many people have lost sight of the fact that our bodies need measured amounts of healthy fats and oils. Adding healthy fats to your smoothies can help to keep you full longer and assure that you are getting the fats that you need. For a smooth and creamy smoothie try adding an avocado. If you want a tropical-tasting smoothie add a teaspoon of coconut oil. For even more healthy fats add some freshly ground flax seeds or a bit of flax seed oil. Experimenting with your smoothie add-ins can be the difference between getting bored and making smoothies a healthy habit. Find recipes online or in books and don't be afraid to experiment and get creative. Very interesting blog.Heaven in mumbai to stay Alot of blogs I see these days don't really provide anything that I'm interested in, but I'm most definately interested in this one. Just thought that I would post and let you know. I can see that you are an expert at your field! I am launching a website soon, and your information will be very useful for me..voyance par telephone immediate Thanks for all your help and wishing you all the success in your business.